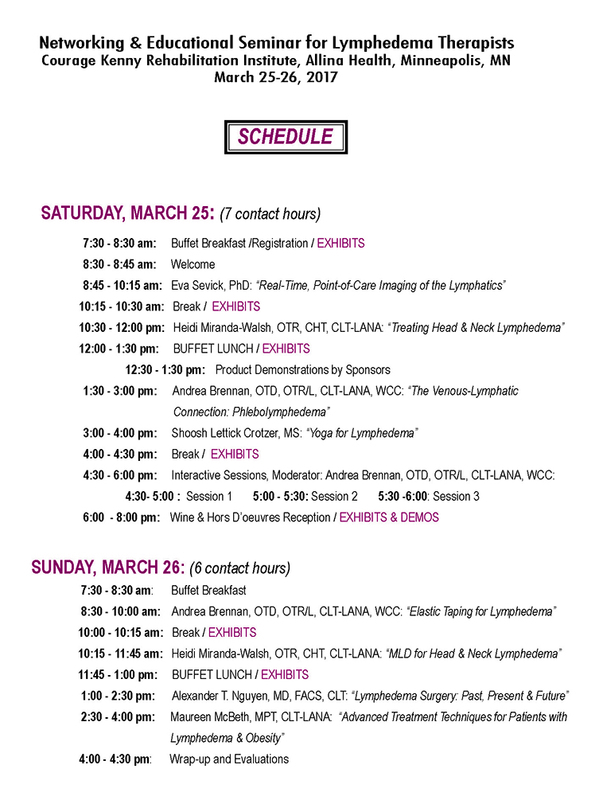 Andrea Brennan, OTD, OTR/L, CLT-LANA, WCC: "Elastic Taping for Lymphedema" and "The Venous-Lymphatic Connection: Phlebolymphedema"
Heidi Miranda-Walsh, OTR, CHT, CLT-LANA: "Treating Head & Neck Lymphedema" and "MLD for Head & Neck Lymphedema"
Alexander T. Nguyen, MD, FACS, CLT: "Lymphedema Surgery: Past, Present & Future"
Lymphedema Seminars is an Approved Provider #8208 for Continuing Education by the American Occupational Therapy Association (AOTA). We also have CEU approval from the Minnesota Board of Physical Therapy, Approval #9558. We will provide Certificates of Completion to all attendees.